Swirls, whorls, circles and rectangles. Lines, dots, waves and zig zags. The personified text of Bronwyn Bancroft’s Shapes of Australia brings each of aspect of nature on these pages to life. Her colourful Indigenous style illustrations use different types of line and shape to form abstract ideas of the world around us. Bold colours, light shades give depth and shade to boulders, rivers and bee hives. 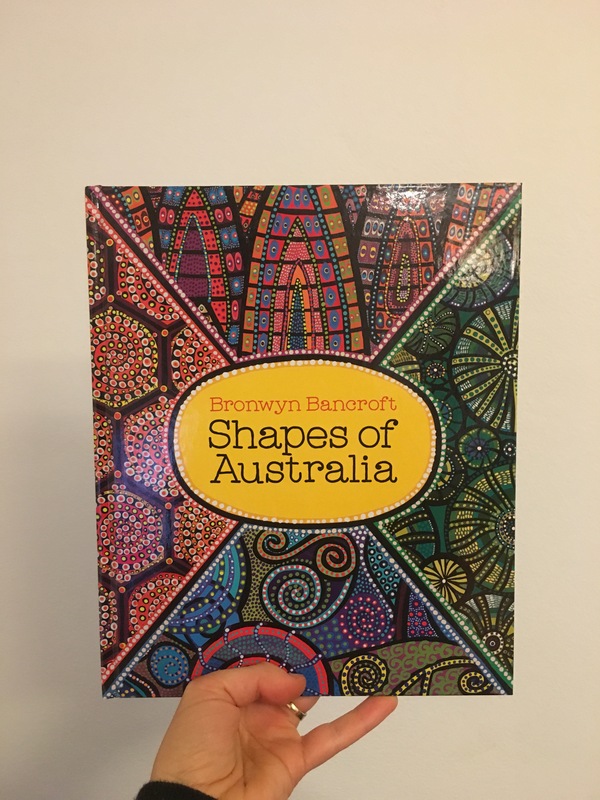 Shapes of Australia allow the reader to learn more about the amazing parts of Australian nature and how the time of day, types of weather and place of existence can change the colour of objects. Shapes of Australia is a book that makes us look twice at the painted landscape. As the reader reads along we are encouraged to think – how do those majestic mountains merge with the long horizon or which mystical forms are inhabiting the ocean floor? Shapes of Australia is a stunning book that emits a calming effect and inspires the awareness of colours in our world. Explore the natural world around you and look at the different lines, shapes and colours. What were the different places visited in this story? What do they really look like? List the verbs used to describe how each of the objects act. How are all of these objects personified? How are the colours of the natural world different to that of the man made world? If we reduce our natural spaces how might our colour inspiration change? Where will we gather our colour from and will it be the same? Explore the techniques Bronwyn has used to paint the pictures in this story. Where did Bronwyn learn her painting technique? Explore other artists from her Indigenous nation.